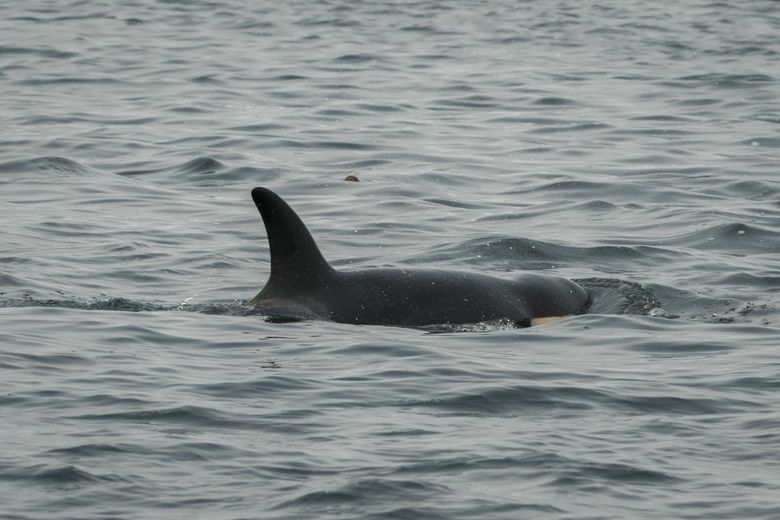 J50 and her family were on the outer coast of British Columbia on Sunday but if they return to within range, getting some medicine into her is a top priority, according to the agency. J50, the critically ill orca whale, may have worms and veterinarians want to give her a shot to kill the parasites. She has already received one shot of antibiotics under an emergency care and feeding program led by the National Oceanic and Atmospheric Administration. But she only got half a dose because the dart used to give her the shot fell out of her thick skin. Biologists want to try again and this time perhaps use a needle that’s tough enough for elephant hide. The goal also is to give her a shot of wormer. While the parasites she may have are no problem for a healthy animal, an orca as emaciated as J50 is at risk. NOAA did well with worming Springer, an orphaned killer whale the agency rehabilitated in 2002. After the dose Springer’s appetite improved and she went from eating five fish a day to 15. She was soon well enough to rejoin her family and has gone on to have two calves. An emergency feeding plan to get live fish into her also dosed with medicine is still in the works.